This outdoor dining set begs to be used daily for morning breakfast with your favorite juice, afternoon fresh salads and candle light dinners. The style is simple, charming and inviting. 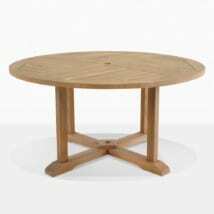 The 35″ round outdoor dining table is made with a-grade teak and will last for many meals year after year. 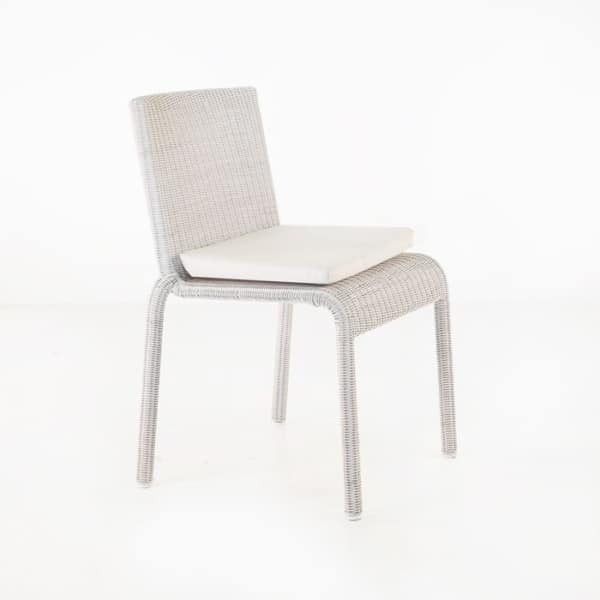 We paired this outdoor dining table with two chalk (white) wicker dining chairs. They add subtle elegance and class. 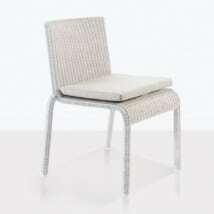 They are also very convenient for small spaces because they can be stacked for storage. 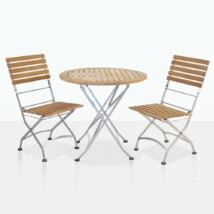 This outdoor dining set will continue to look amazing with a simple cleaning. Just wipe down with warm water and mild soap. You can also use a low-pressure hose to spray it off. 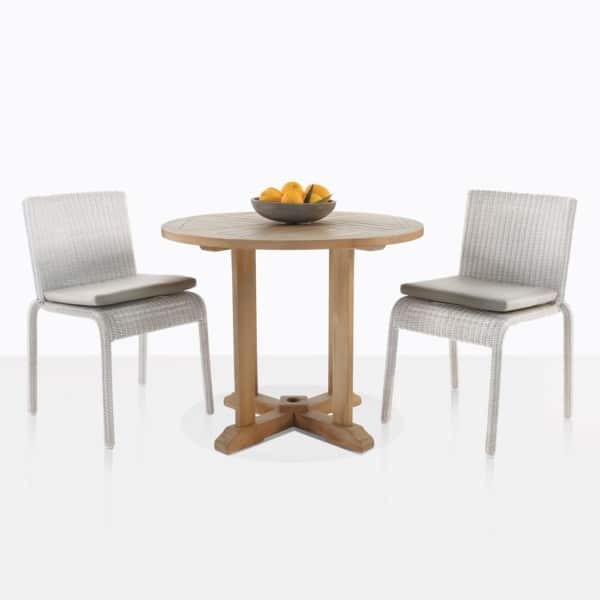 As the table ages it will patina into a soft grey and will still go beautifully with the white outdoor wicker chairs. We have many more options available if you need to seat a larger dinner party. Please call us today so that we can help you plan your next outdoor dining experience.